As the proliferation and necessity of Internet hosting continues to increase in this technology age, large and small businesses must keep up with the demands of staying relevant and available online. The difficulty in handling this technical need for most businesses, especially small ones, is establishing a server with a strong enough bandwidth to handle its online traffic. Housing this type of server can be quite expensive for companies, making it nearly impossible for small or family-owned businesses to compete with the economic superiority of larger corporations. One way that these small businesses can cope with the server disparity is by hiring a colocation facility. Colocation facilities work as a type of data center that rents equipment space and bandwidth to companies and businesses that need a network service provider at a reasonable cost. Businesses could spend a small fortune creating a private infrastructure, but by tapping into colocation facilities, those same businesses can rent the services they need without having to create the communications system themselves. While these centers are providing server spacing and expansive bandwidth, it is important to remember that colocation facilities are not online only. These facilities are physical structures preferably located near major power hubs where they can tap into the available connectivity. How does a business set up at a colocation facility? Businesses can often begin to set up their servers at their own home offices, but there are really two options for beginning a relationship with a colocation facility. The first option is for each business to create a server machine of its own, and prepare it in the manner that would best benefit that business. Once the server machine is established and ready to go, the business can take the machine to a colocation facility for installation. The second option is for the business to simply rent a server machine from the colocation facility, allowing the facility to help establish the server's parameters. 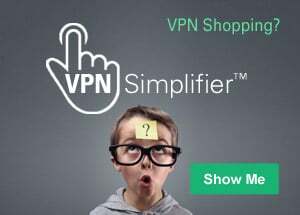 This may be the simpler option for small businesses that lack the technology knowledge to create their own servers. No matter which option is chosen, the colocation center will provide the power, the bandwidth, and an IP address for the business' server to begin running. The business renting the space at the colocation facility has unlimited access, just as it would if it were using a typical web hosting provider. 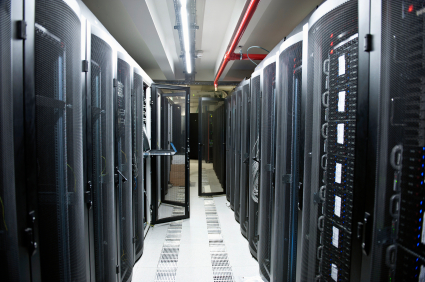 What are the benefits of using a colocation facility? There are a great number of benefits for businesses that utilize colocation facilities. physical benefits — The colocation center's building is extremely secure, typically providing lockable cabinets or cages surrounding each business' server rack. In addition, most facilities offer video surveillance, security with access granted based on identification, and real-time monitoring by security agents on closed-circuit televisions. Some of the most secure and high-tech centers even use fingerprint and voice recognition software to grant entry into the building. Colocation facilities also employ some of the most sophisticated smoke detectors and sprinkler systems in the event of a fire. information and power back-ups — Colocation facilities provide a vast array of back-up strategies to thoroughly ensure the security of each business' information and service. First, these centers use several types of power back-ups, including batteries and diesel generators, which take effect when power outages occur. Second, colocation facilities employ redundant systems that create a series of back-ups for all the information stored on the servers. Finally, these centers typically employ full-time engineers ready to assist should any power or connectivity issues arise. This is a distinct advantage for small business that could not otherwise afford personal technology engineers. cooling systems — Technology, especially computers and servers, generate a great deal of heat, especially when they are running for extended periods of time. When a large number of these servers are housed in a single building, they create even more heat. Because of this, colocation facilities provide powerful air conditioning systems that help keep the air appropriately cool and moisture-free. economic advantages — Probably one of the largest benefits for small businesses is the economic advantage of renting a colocation space for the increased bandwidth that it provides. Businesses that move their processing to the secure and compact data center of a colocation facility can greatly enhance their productivity without fear of losing money during power outages or technical malfunctions. The amount of money it would cost a small business to replicate the physical and technological strengths of a collocation facility would be so expensive that it would not be economically feasible. Instead, a small business can hire the center and use its services for an approximate savings of 95 percent. This is a difficult question to answer because there are many different methods by which these data centers charge for their services. The method used will depend on the application of the services and the preferences of the colocation facility. variable rate data — This assessment of fees is based on the assumption that the business will have the very highest speed Internet connection, and fees are assessed on a per megabyte or per gigabyte basis. Although centers using this model can bill based on inbound data only, outbound data only, or total data, most prefer to base their fees on a ratio of inbound to outbound data coverage. fixed rate data — In this billing model, a fee is assessed for a fixed amount of bandwidth, and no additional charge is incurred for the amount of incoming or outgoing data. A business can choose how much bandwidth it would like to purchase, and it only pays for that service. This type of service is especially useful for businesses that do a lot of video or game streaming.